BitcoinRush.io was founded in 2013 as a sportsbook. It has grown to include a wide range of popular casino games such as blackjack, roulette and others. This BTC casino offers provably fair casino games and players can enjoy all the offerings on site with no download required. Games run direct off your browser, via HTML 5 functionality. It is possible to enjoy PC and mobile gaming at Bitcoin Rush Casino. As its namesake suggests, the big appeal of this Bitcoin casino is the ‘rush’ that players feel while enjoying card, table and video poker games. We put this casino to the test when we scrutinized deposits/withdrawals, game variety, minimum and maximum bets, registration and technical issues, customer support, range of poker games and promotional offers. The results of our comprehensive analysis are available in this review. We encourage you to read through each section so that you can get a better perspective on the plus and minus points of this Bitcoin Casino and Poker Room. There are 3 distinct categories at BitcoinRush Casino, including Bitcoin Rush, Bitcoin Casino and Bitcoin Sportsbook. Each of these categories offers unique game selections to players. Starting with Bitcoin Rush, players will find an exciting head-to-head game which features a multiply challenge. If you win 67% of the games in these three challenges, you will receive 0.1 mBTC. This is certainly something worth checking out since it is a great way to select the coin to play with and whoever reaches 32 points wins the challenge. Naturally, there is a house edge since Bitcoin Rush will claim 1% of the total pot for commission. The second category is Bitcoin Sportsbook. Here, you have multiple drop downs in the menu including all the popular bet selections: survivor pools, NFL, tennis, boxing, College football, MMA, MLB, soccer and more. Since this is a popular Bitcoin sportsbook you can expect to find a full quota of betting tips, betting odds, predictions, enhanced betting odds, free bets and other promotional offers. The rules for each of the sports are provided and there is a nifty FAQ section to help you with prepared responses to common questions. The third category and the one our review is focused on is Bitcoin Casino at BitcoinRush.io. Here is where things get really interesting: multiple categories, multiple games and top casino features pepper the Bitcoin Casino arena. For example, there is Bitcoin Blackjack, Bitcoin Roulette, Bitcoin Baccarat, Bitcoin Hi-Lo and Bitcoin Poker. Some of the features you can expect to find at the Bitcoin Casino include a wide betting range with high limit and low minimums. This guarantees that casual players and high rollers will have ample opportunity to leverage their bankroll. What is great about this digital currency casino is that you will find provably fair casino games. This means that you can verify the randomness of the games you are playing. While BitcoinRush.io claims to make regular payouts of 50 – 100 BTC per day, we could not independently validate that assertion. We therefore advise players to use sound judgment when evaluating the casino based on its own admissions. Our in-house casino pros put BitcoinRush.io to the test at the cashier. We were pleasantly surprised with the speed of withdrawals. Typically, deposits are available instantly, but withdrawals at many online casinos require verification and there are delays. Not so at BitcoinRush.io. Another plus point for this Bitcoin casino is its full compatibility on Android smartphones and tablets and iOS devices. We ran the apps on both Android and iOS and were pleasantly surprised by the smoothness and high quality gaming experience. We also put BitcoinRush to the test in terms of its bonuses and promotional offers, and we will reveal their current offerings later in this review. Now that you have a brief introduction to this BTC Casino and Poker room, it’s time to get into some details. You can practice the Bitcoin poker games in a free-play mode direct off your browser. The maximum bet is 200mBTC and the minimum bet is 1mBTC. Once you’ve placed your wagers click the deal button to reveal your 5-card hand. Note that the game in play is 5-card poker. As soon as your hand has been dealt, you will know what combination you have. Your options include Jacks or Better, Two Pairs, Three of a Kind, Straight, Flush, Full House, Four of a Kind, Straight Flush and Royal Flush. After the first deal, you can choose which cards to hold and which cards to discard. Then click the draw button to reveal your final hand and see what you have won. You can increase your payouts by increasing the size of your bet. There is even an option to verify the outcome of each draw by clicking on the provably fair button on the bottom left of the video poker games. The blackjack games are pretty exciting on deck. You can also practice these – as with all other casino games – for free, direct off your browser. The minimum bet in blackjack is 1mBTC and the maximum bet is 1500mBTC. Once you have made your selection, click the deal button to reveal your 2 cards. The blackjack program automatically calculates your hand total and reveals the dealer’s face-up card. You are then tasked with standing, hitting, splitting or doubling. At the end of the deal, you can re-bet or maximize your bet to 1,000mBTC. For the rules of the game simply click on the rules button at the top right of the game screen. Blackjack games pay 3:2 and the dealer draws to 16 and stand on all 17s. You can double on any 2 cards and it is permissible to split after a double. Players can split up to 2 hands and there are 6 decks in play, shuffled after every hand has been dealt. The maximum bet that you can place is 2 Bitcoin, which differs from the play-money wager of 1,500 BTC. Other games like Hi-Lo allow a maximum bet of 250mBTC, and all you need to do is pick your bet size and then choose bet high or bet low depending on what the card is. You can keep playing through the 12 cards on screen. The rules of this game are also pretty easy to follow. 12 cards are randomly drawn from a shuffled deck of cards (provably fair) and they are all pocket cards. As you wager, your balance will easily increase or decrease depending on the outcome. The highest value cards in this game are Kings and Aces. Baccarat is another high roller favourite. The maximum wager in this game is 1,000mBTC. Players have the option to place wagers on the Player or the Banker – both of whom have 2 facedown cards. You pick either a Tie, Banker or Player bets and the objective is to get as close to 9 as possible. Once you have made your bet selection, click the deal button. Note that in baccarat, any hand total over 9 automatically gets the tens digit removed. For example, Ace + 7 + 5 = 3. The layout of the roulette games is different to typical online casinos. At BitcoinRush.io you get a pretty Plain Jane style of play with a basic roulette wheel spinning off to the left of the screen and a roulette betting grid with 0, and 1-36 displayed. All the usual selections are available in the form of first 12, second 12 and third 12, 2 to 1 selections and then 1-18, 19-36, even/odd and red/black. We didn’t see any neighbours bets or advanced functionality in the roulette game which is somewhat disappointing since Roulette aficionados enjoy those added extras. Nonetheless, the minimum that you can wager is 35mBTC and the maximum is 250mBTC. For 1 to 1 wagers, the maximum bet that you can place is 500mBTC. We like the fact that there are several ways to place wagers including the +/- buttons alongside the bet icon, and the 1, 5, 25 and 100 buttons. These allow you to instantly select your chip size and then you can place wagers on inside bet or outside bets. Once you’re ready, click the spin button. The results of all your spins from the current gaming session will be displayed just above the bet panel on screen. Despite its simplicity (no 3D visuals, no close-ups of hit numbers etcetera), the game is engaging. How Easy is it to Deposit Bitcoin and Play at BitcoinRush.io? Getting started at this online casino is relatively easy. The registration process requires you to simply enter your username, password, a CAPTCHA response and your email. Once you have registered, you will be asked to verify your account and then you will be able to deposit. Note that it is a one-wallet system at this casino. In other words, you can use the same account to play at Bitcoin Rush, Bitcoin Casino and Bitcoin Sportsbook. That’s definitely a big plus point for BitcoinRush.io since it may get a little tedious playing the same games over and over. The more you play, the bigger your rewards. You get to enjoy VIP treatment which gauges how much you play, not the results of your sessions. We found a few incongruences on site including the fact that they state no emails are required and that it is 100% anonymous. We would like to stress that while Bitcoin poker and casino games do not require personal information, you will need to enter an email address to verify your account. Many players routinely ask whether it is legal to play poker games online using Bitcoin. This is a fair question, since current regulations have not really tackled the issue of digital currency yet. Even in countries where real money online casino games and online poker games are prohibited, Bitcoin is permitted. There are many benefits to using Bitcoin over fiat currency. For starters, it is not regulated by the authorities and it is not controlled by any central bank. This means you don’t need to worry about government interference in any way. The supply of Bitcoin is finite and will be capped at 21 million. It is governed by a complex algorithm using open source software. You can mine BTC with powerful computers and you can transfer it freely between people and/or merchants. Perhaps the most attractive aspect of using BTC is the speed with which transactions are processed. The nice thing about BitcoinRush.io is that it caters exclusively to Bitcoin players. It is always better to select an online casino that is geared towards BTC than a combination of fiat currency and digital currency. Fortunately, it’s not as difficult as you might think to get hold of Bitcoin. 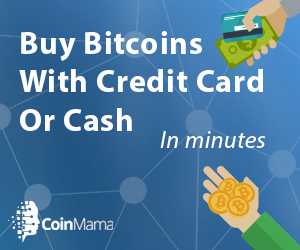 You can use credit cards or money transfer services to pay USD, EUR or GBP for BTC. You will need a Bitcoin Wallet at a Bitcoin Exchange. Once you have the specific address of the casino, you can easily transfer the BTC into your account. This is all done anonymously, since no names are required and no personally identifiable emails are needed to verify transactions. There are several exchanges you can use to buy Bitcoin, including Bitstamp.net. You can send these funds direct to the casino, bet and play for ‘digital currency’. BitcoinRush Casino is a popular Bitcoin casino. It is also the owner of PeerBet and Bit777. These betting sites also cater to other cryptocurrencies in Peercoin and Litecoin. We are truly impressed by the play-money option on deck. You can experience many of the games direct off your browser, no download required. This allows you to test out the provably fair games at will. Whether you are playing on your PC, smartphone or tablet you will find the range of poker games, casino games and other games much to your liking. The transaction history feature is particularly useful and it is found in a detailed account info page. Sign up and registration is a breeze. The one thing we found lacking was promotions and bonus offers. However, there are occasional offers which certainly compete with the best of them. When it comes to depositing and withdrawing your funds, you will be satisfied with BitcoinRush.io. Deposits typically go through instantly while withdrawals can take time to process depending on how big they are and how much validation is required. In terms of customer support, the following options are available: admin@bitcoinrush.io There is also a useful help & support page which offers quick responses to typical questions. We like the layout of the casino, sports book and other features. The user-friendly interface allows for smooth gaming sessions and a rewarding overall experience. We noticed the absence of a telephone number, but this appears to be common among Bitcoin Casino operators. Nonetheless, support was professional and courteous and they responded within a reasonable timeframe. There are many A-grade Bitcoin casinos out there. While BitcoinRush.io is certainly not the ranking option, it is a viable one. They have great odds if you’re into sports betting and the bet selections are formidable. For poker games, the selection is somewhat limited but you will still get to enjoy 5 card draw and a wide range in terms of maximum and minimum wagers. The current bonus is a 10% rebate on losses at the casino – that’s it. This is somewhat of a disappointment. Overall, you can definitely give this one a go and you will likely be satisfied with the outcome.